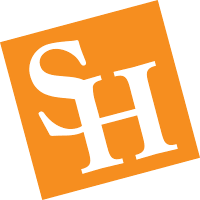 The online Master of Education in Instructional Systems Design and Technology program at Sam Houston State University is a combination of courses covering curriculum and instruction and computer science. The 30 credit hour program is entirely online and designed to provide individuals with the skills to effectively use instructional technology for classroom or professional training. The online masters in Instructional Systems Design and Technology program promotes a strong, working knowledge of digital-age learning environments. The online Instructional Systems Design and Technology master’s program consists of 30 credit hours, utilizing a variety of methods to provide the most beneficial online learning experience. Coursework exceeds the level of expectations regarding student interaction and usability, and consists of five online Curriculum and Instruction courses and five online Computer Science courses.